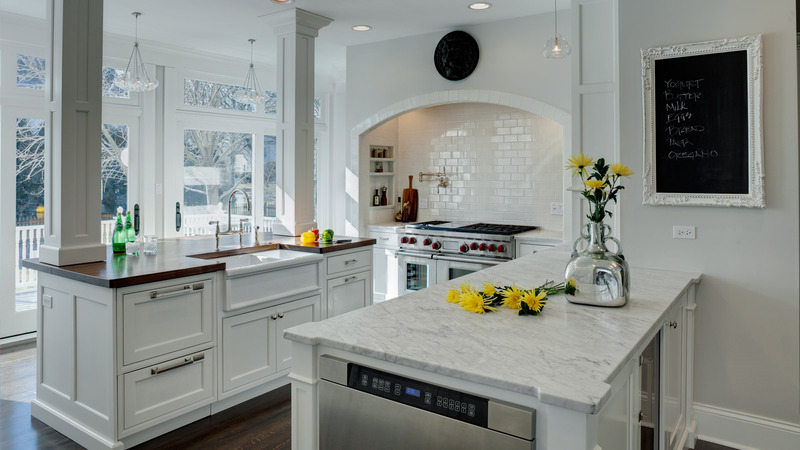 A Hinsdale, IL homeowner wished to transform a cramped and dark kitchen into an updated space that would remain in character with a historic home. In order to enlarge and brighten the space, an exterior wall was removed to include an existing porch in the kitchen footprint, doubling the size of the room. Floor-to-ceiling windows replaced the wall, adding an abundance of natural light. A Wolf range, framed by a classic tile arch, creates a focal point for a fresh, updated traditional space in the historic home.